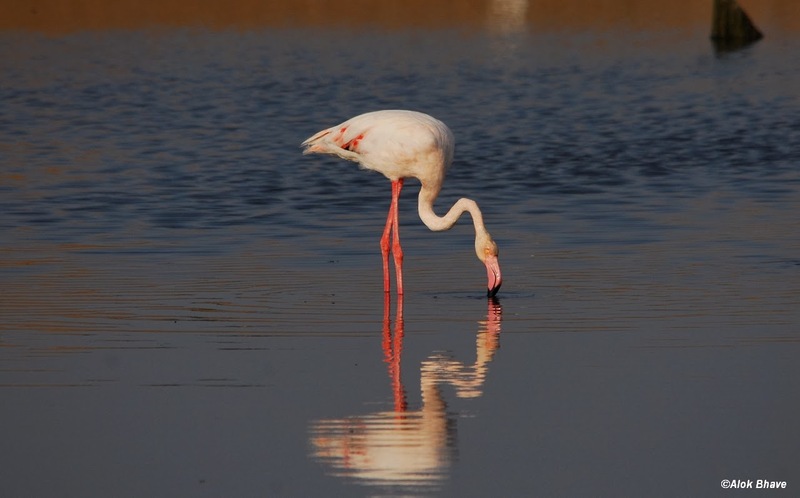 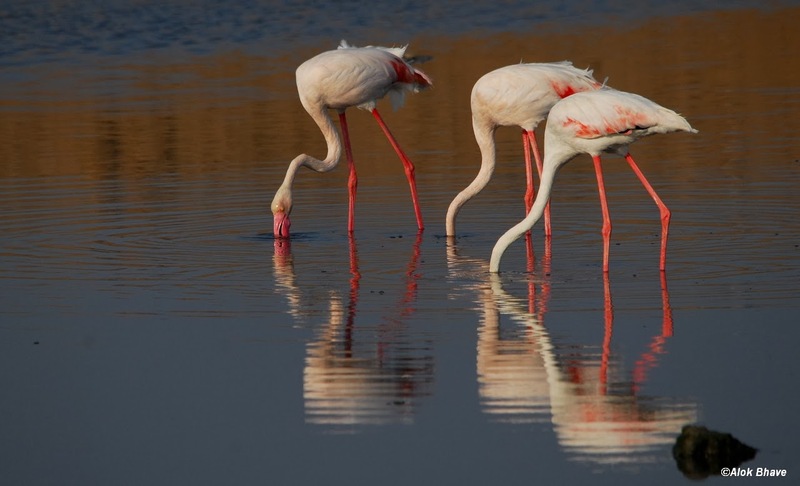 Sometime in December 2013 we decided with some of our friends from office to make a tourist trip to Kutch area to Visit Bhuj, Mandvi Beach and White Rann in Jan 2014. 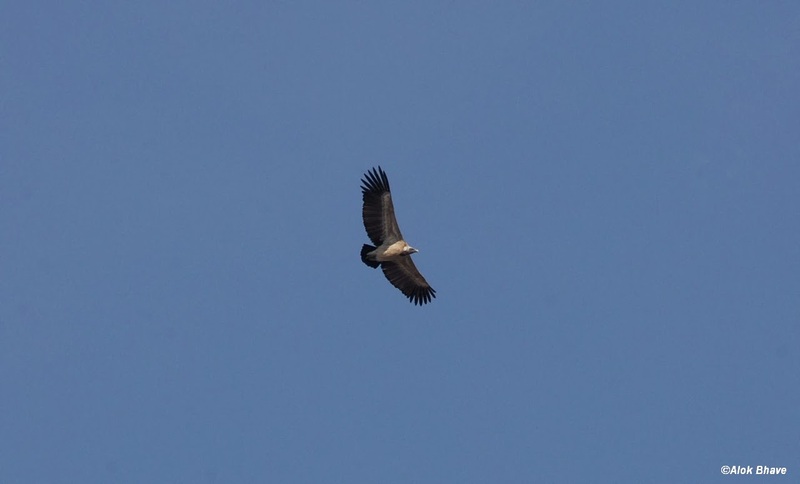 This gave us birders an opportunity to extend this trip by 2 days and do birding in the great birding hotspot - GRK. 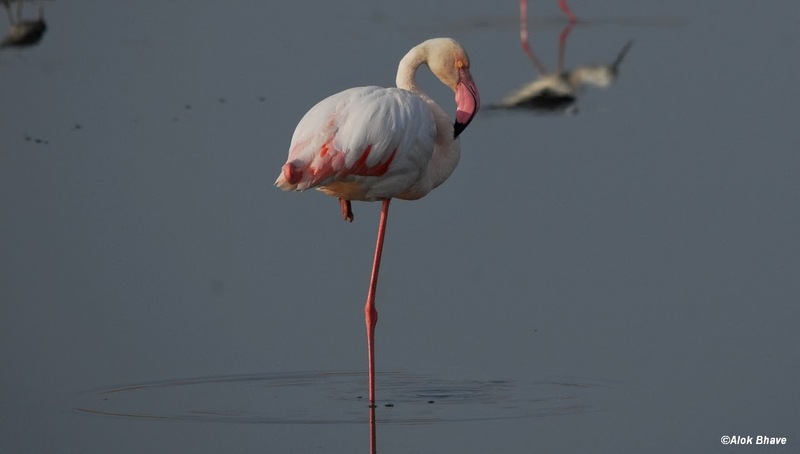 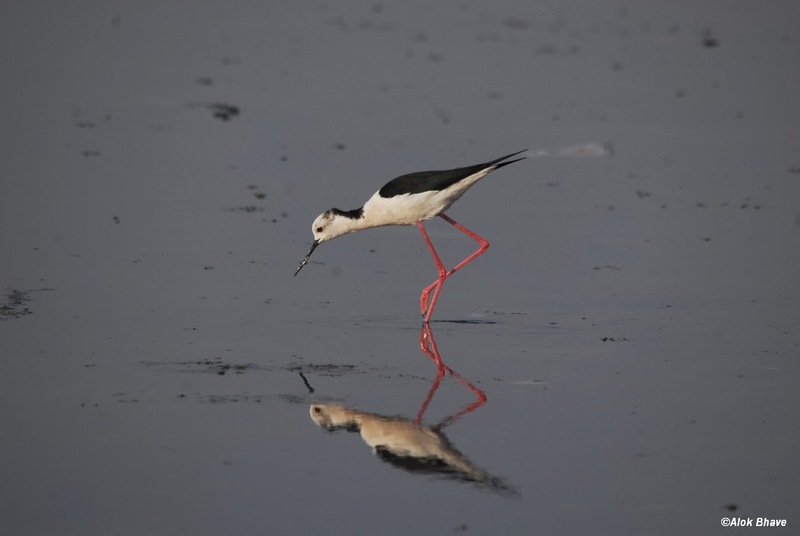 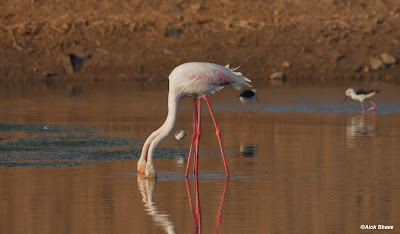 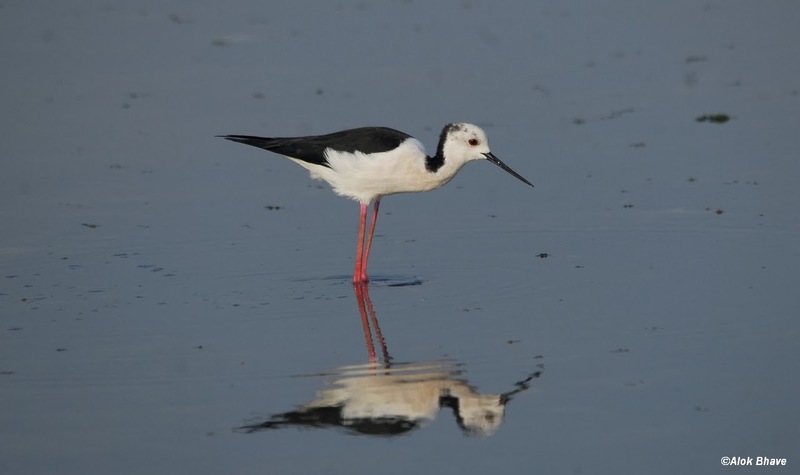 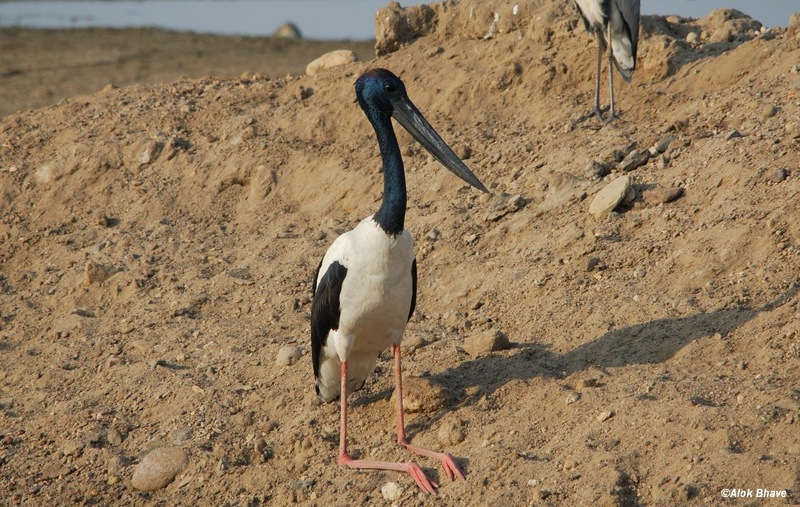 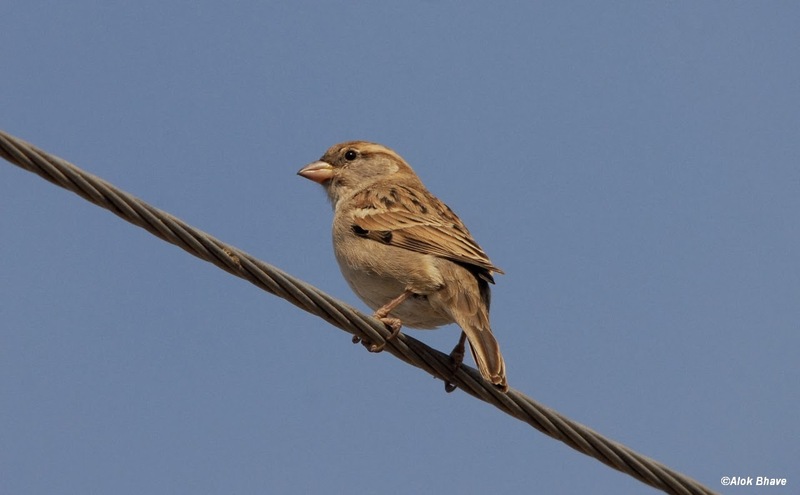 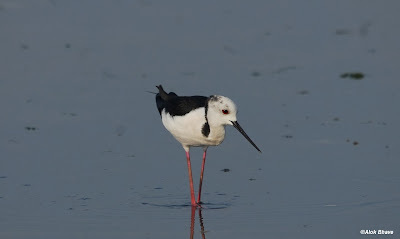 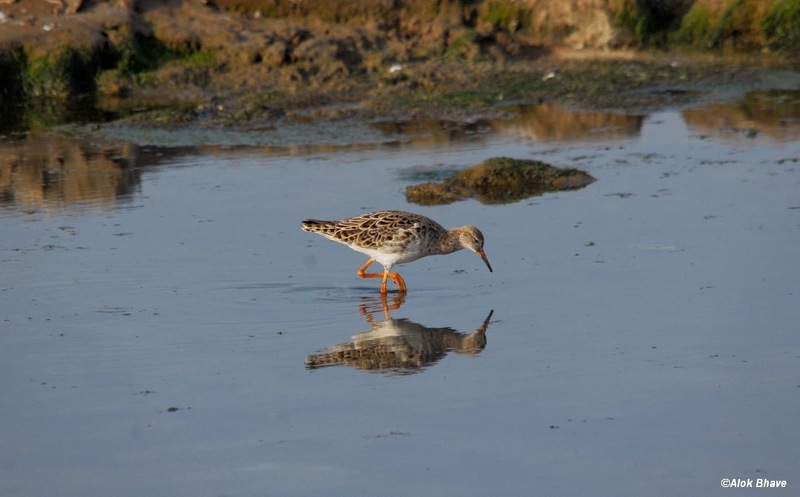 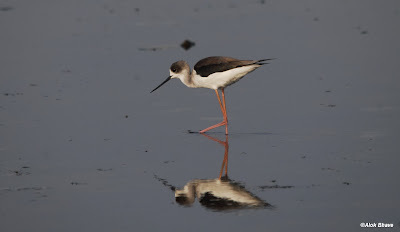 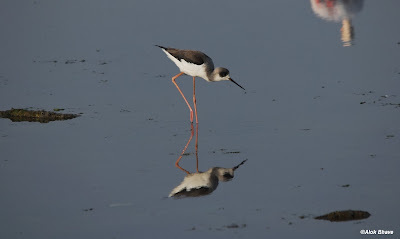 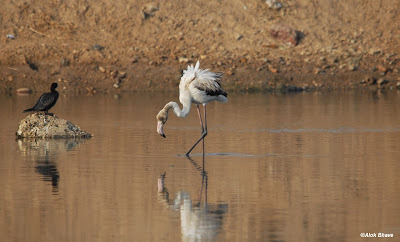 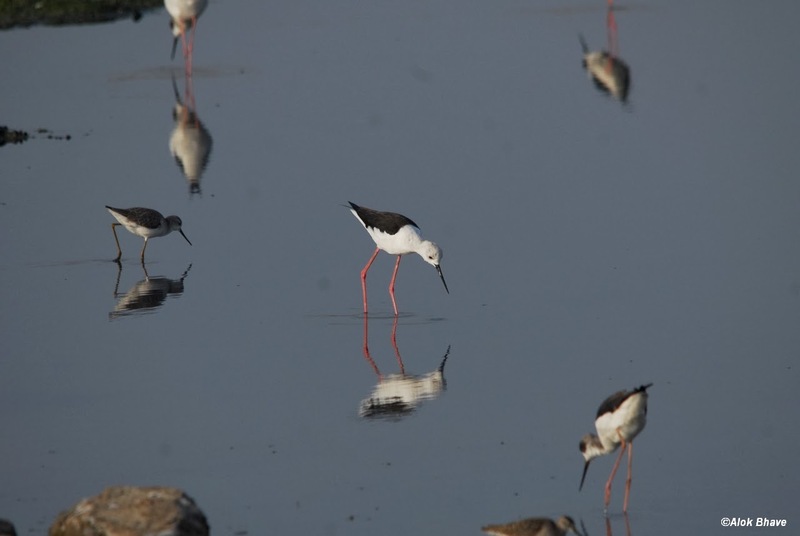 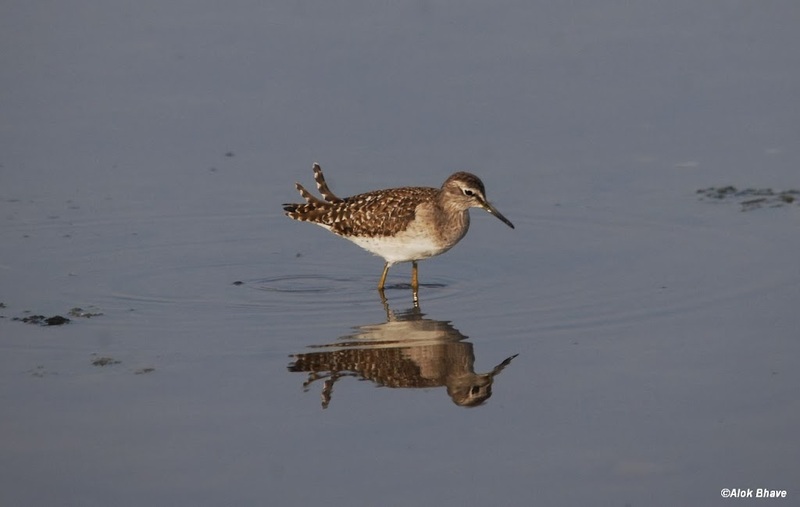 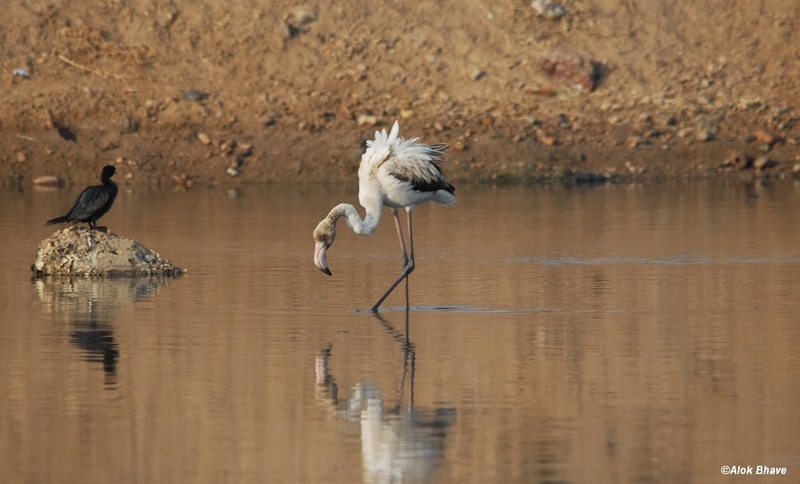 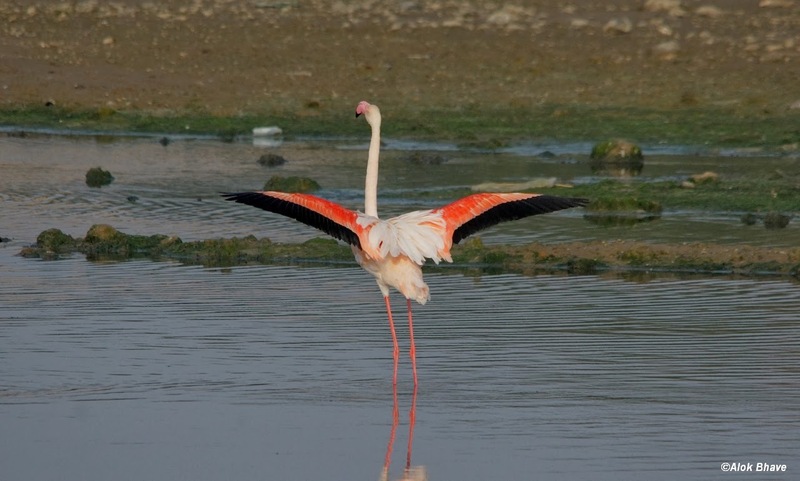 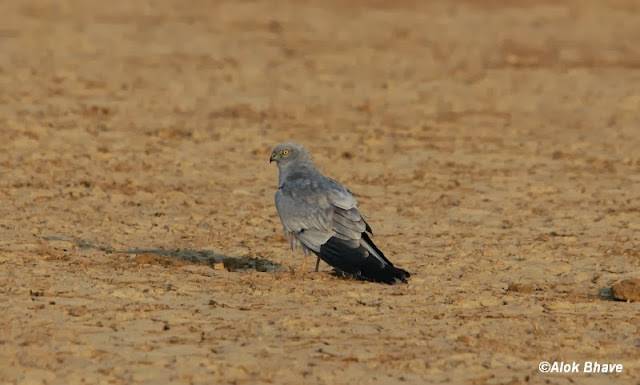 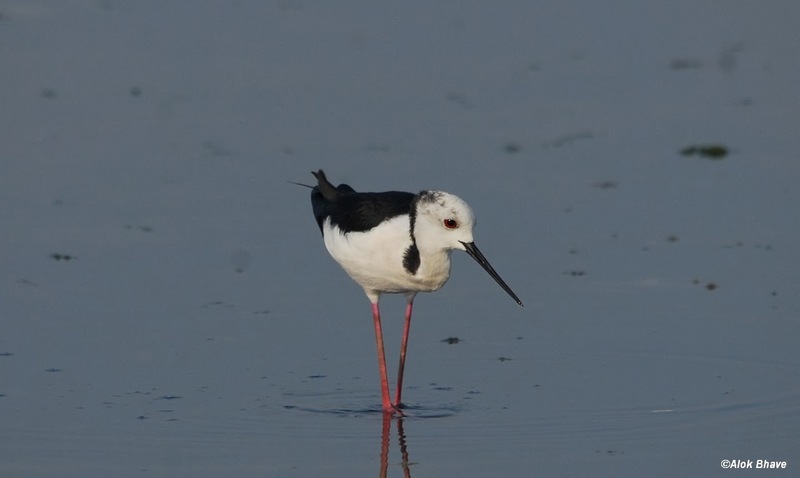 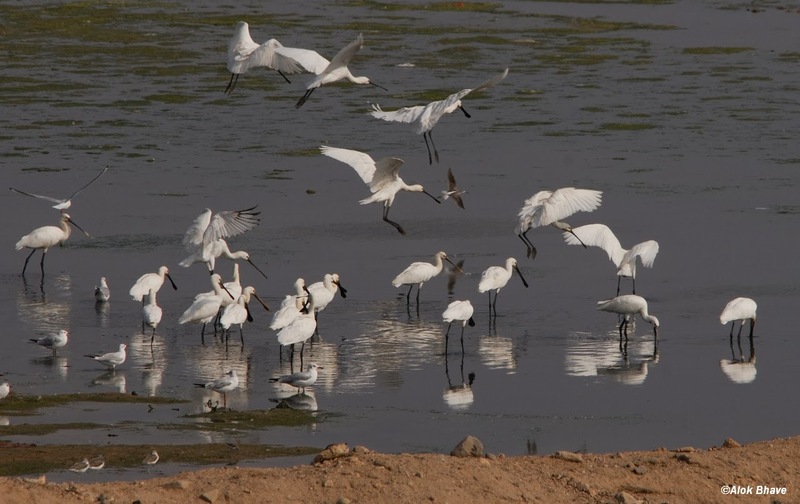 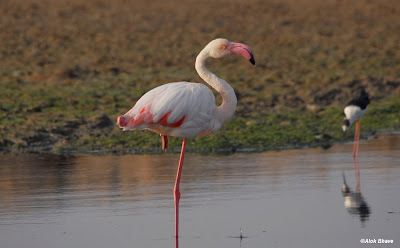 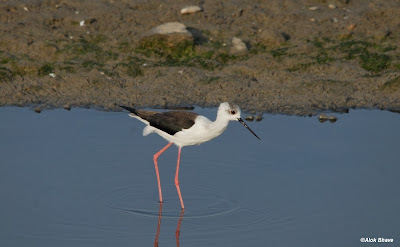 Though the actual birding trip was to start on 14th Jan we started seeing from our first day at Mandvi itself (12th Jan). 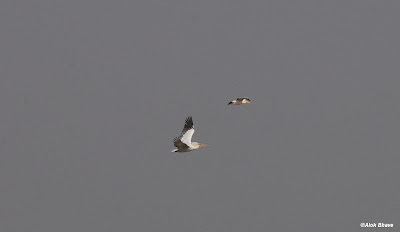 Our hotel was just on the bank of River Rukmawati and lot of birds were seen on the bed of the river and flying around. We started seeing birds flying overhead while having tea on the lower terrace like Black headed gulls and Black ibis. 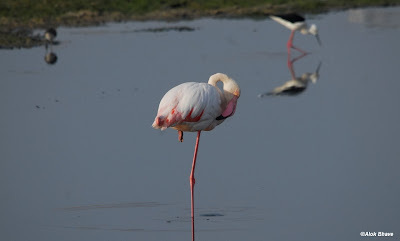 From the top terrace we could see spoonbills, black headed ibis, western reef egrets, grey heron, and little egrets feeding along with Greater flamingos and Black necked stork. 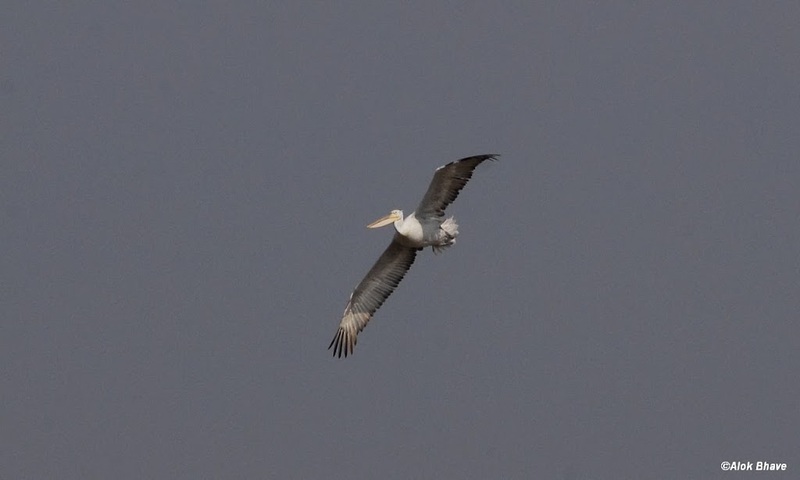 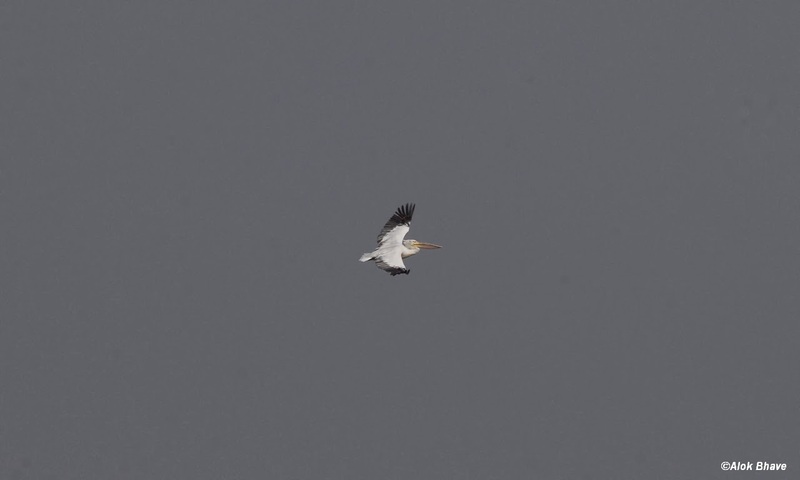 And the best of all the birds which is always a pleasure to watch in flight the Dalmatian Pelicans. 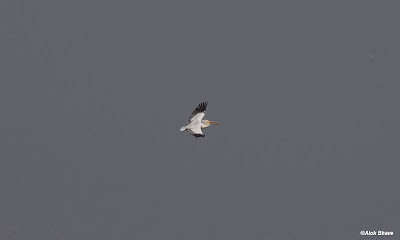 Later on in the day we stole some time to go down to the river till others were getting ready to get some pics of some of the amazing birds. 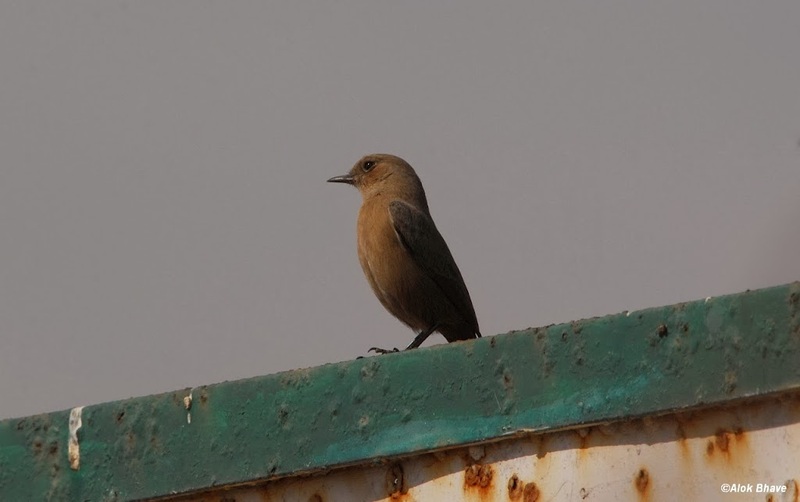 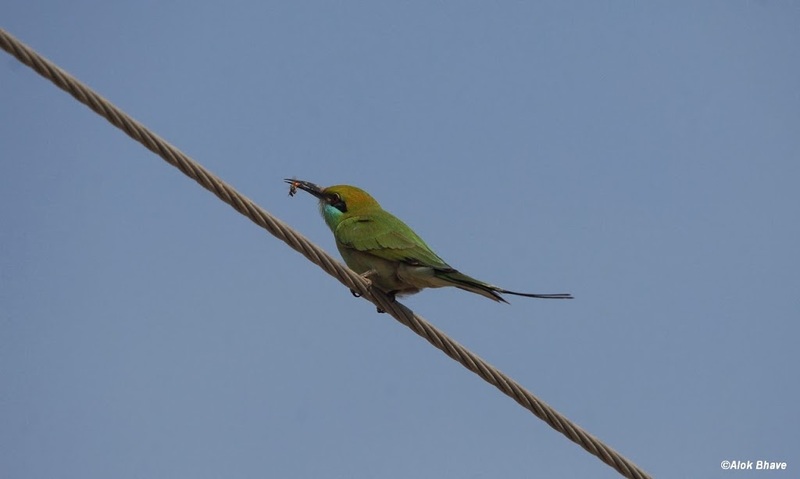 Next day while on Kaladungar (13th Jan) saw a Eurasian Griffon, Brown Rock chat, Green beeeater and Variable Wheatear. 13th Night after watching an amazing sunset at White Rann and dropping our friends at Bhuj station we reached our hotel JP Palace at Nakhatrana.